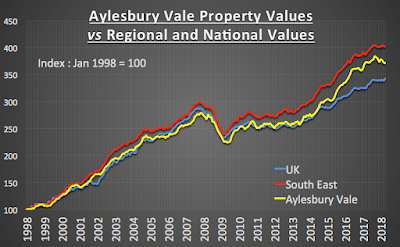 The combined value of Aylesbury’s housing market has fallen by £1,158,600 in the last 6 months, meaning the average value of an Aylesbury property has decreased in value by an average of £50. This is great news for Aylesbury first time buyers and Aylesbury buy to let landlords, as there is a slight hesitation in the market because of the uncertainty over Brexit. As I have always said, investing in Aylesbury property, be it for you to live in or as a buy to let investment, is a long-term game. In the grand scheme of things, this minor change over the last 5 or 10 years is nothing. The RICS’s latest survey of its Chartered Surveyor members showed that nationally the number of properties actually selling has dropped for the 16th month in a row. Locally in Aylesbury, certain sectors of the market are matching that trend, yet others aren’t. It really depends which price band and type of property you are looking for, as to whether it’s a buyers or sellers market. The RICS also said its member’s lettings data showed a lower number of rental properties coming on to the market. Anecdotal evidence suggests that (and this is born out in the recent English Housing Survey figures) Aylesbury tenants over the last few years are stopping in their rental properties longer, meaning less are coming onto the market for rent. I have noticed locally, that where the landlord has gone the extra mile in terms of decoration and standard of finish, this has certainly helped push rents up (although those properties where the landlord has been remiss with improvements and standard of finish are in fact seeing rents drop). Aylesbury tenants are getting pickier – but will pay top dollar for quality. So much so, I believe there will be a cumulative rise of around fourteen to sixteen per cent over the course of the next five years in private rents for the best properties on the market. This slight drop in Aylesbury property values doesn’t particularly concern me. The fact is that over the last 6 months 635 properties have sold for a combined value of £221,499,430. You see, that drop must be seen in perspective in that 6 months ago, the total value of Aylesbury property stood at £8,718,071,076 (£8.72bn), and today it stands at £8,716,912,476 (£8.72bn) .. this change is a drop in the ocean. In the short term, say over the next six months and assuming nothing silly happens in Korea, the Middle East or Brexit negotiations, it will be more of the same until the end of the year. In the meantime, the on-going challenges ensuring we as a Country build more homes (although the Office of National Statistics figures released in July showed nationally the number of new homes started to be built over the second Quarter of 2018 had dropped dramatically) makes me think that Aylesbury (and Nationally) property value is likely to recommence an upward trajectory as we go into 2019. One final thought for all the buy to let landlords in Aylesbury (and indirectly this does affect all you Aylesbury homeowners too). I do hope the recent tax changes towards buy to let landlords don’t bite as deep as it is possibly starting to with certain landlords I know. We talked about this in an article a few weeks ago and I know why the Government wanted to change the balance by taxing landlords and providing a lift for first time buyers .. however, this may well come at the expense of higher rents for those Aylesbury tenants that don’t become first time buyers, as the appeal of buy to let potentially weakens. 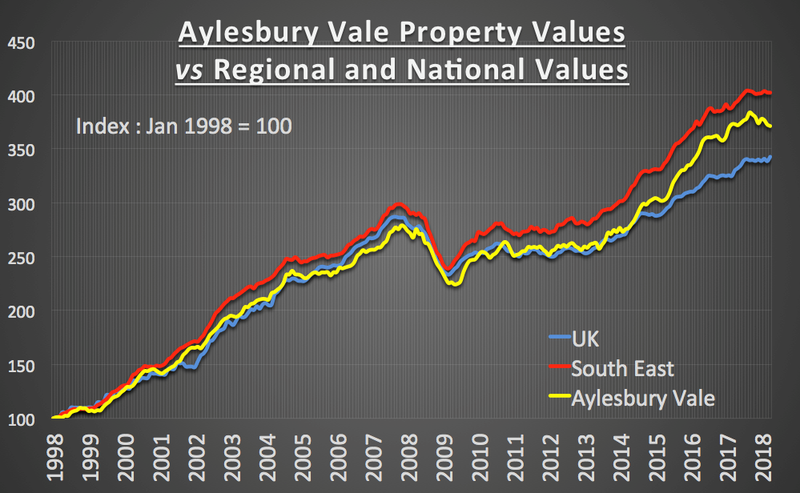 Aylesbury Property Market – How Does It Compare Historically to the South East and National Property Market’s? Living in our own homes or owning buy to let property in Aylesbury and the surrounding areas, it’s often easy to ignore the regional and national picture when it comes to property. 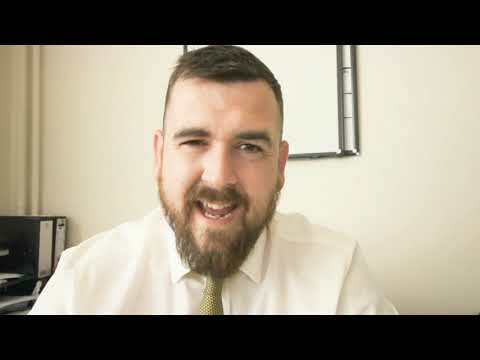 As a homeowner or landlord in Aylesbury, consideration must be given to these markets, as directly and indirectly, they do have a bearing on us in Aylesbury. Locally, the value of property in Aylesbury and the number of people moving remain largely steady overall, although looking across at the different regions, there are certainly regional variations. Talking to fellow property professionals in the posh upmarket central London areas of Mayfair and Kensington, the number of people looking to buy and registering interest with agents is continuing to climb after 18 months in the doldrums, whilst in other parts of the UK, there is restraint amongst both buyers and sellers in some locations. Look further afield, a resilient property market depends on the UK's economic health with the outside world, so if Sterling weakens, that makes imports more expensive, meaning inflation increases, and this matter I talked about a few weeks ago in my blog article ... interest rates could be raised to bring inflation under control, which in turn could seriously affect the property market. On the assumption Brexit negotiations are successful, economic growth should continue to be upward and positive, meaning confidence would be increased ... which is the vital element to a good housing market. That means an Aylesbury homeowner has profited by an additional £31,323 over the last 20 years compared to the average homeowners across the country. I found it interesting to see the ups and downs of the Aylesbury, South East and National markets in this graph. How the lines of graphs roughly go in the same direction, with Aylesbury following the regional trend more closely than the national trend (as one would expect), how the 2007/08 property crash timings and effects were slightly different between the three lines and finally how the property markets performed in the post-crash years of 2011 to 2014 ... fascinating! So, what does this all mean for Aylesbury homeowners and Aylesbury landlords?